Posted: Friday, September 30, 2016. 10:56 am CST. By BBN Staff:A special meeting of the Senate is underway in Belmopan. The Senate is first considering a motion to suspend the Standing Orders of the Senate to allow for discussion on the implementation of a Senate Special Select Committee to investigate the Special Audit Report on the Immigration and Nationality Department. Then, the Upper House is expected to debate two separate motions. The motions differ in the scope of the investigation and the composition of a planned committee. 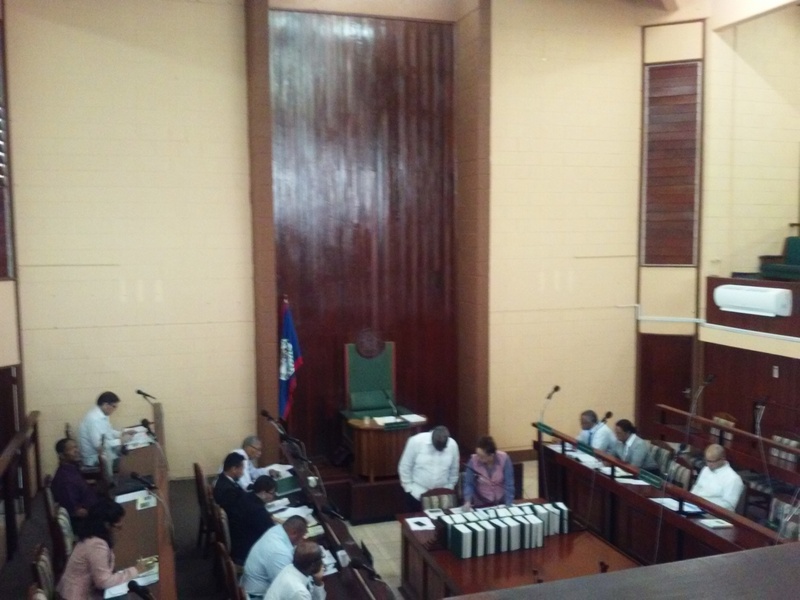 The Government’s motion, to be presented by Church Senator Ashley Rocke, calls for the Government to have one more member on the Committee than the Opposition, making a total of six members with the addition of the social partners. The Opposition, meanwhile, led by Eamon Courtenay, wants a similar composition to the one adopted for the Social Security Board investigation in 2005: Government and Opposition with one each and the three social partners for a total of five. Members of Citizens Organized for Liberty through Action (COLA) and others are observing in the gallery. We will have more as the day progresses.